Other features include Hex Viewer, HTML toolbar, user tools, line number, ruler, URL highlighting, auto completion, cliptext, column selection, powerful search and replace, multiple undo/redo, spell checker, customizable keyboard shortcuts, and more. 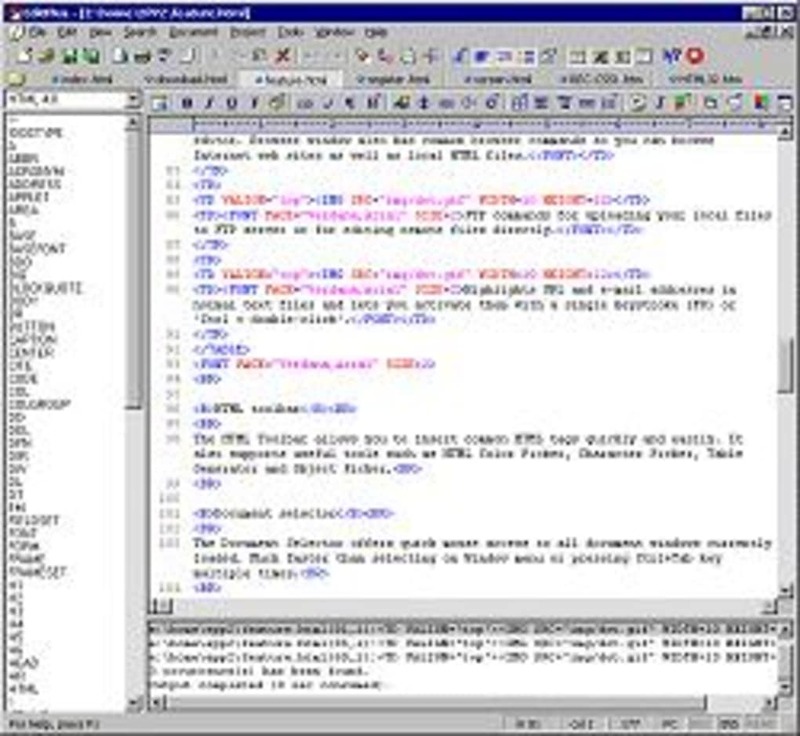 EditPlus is an Internet-ready 32-bit Text editor, HTML editor and Programmer's editor for Windows. While it can serve as a good replacement for Notepad, it also offers many powerful features for web designers and programmers. There's a seamless Web browser for previewing HTML pages, and FTP commands for uploading local files to FTP server. 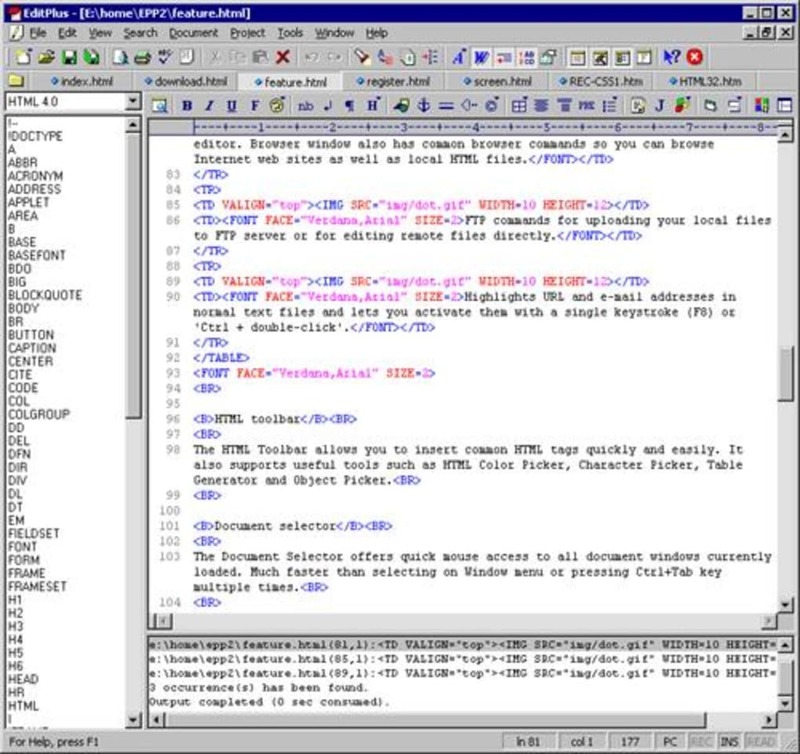 Other features include HTML toolbar, user tools, line number, ruler, URL highlighting, auto-completion, cliptext, column selection, powerful search and replace, multiple undo/redo, spell checker, keyboard shortcuts, and more. All you need from basic text editor. EditPlus provides you all the features you need for your basic text editing. Syntax highlighting is great for php, css html etc. When developing software I use EditPlus in paraller with Eclipse IDE for example for fast &quot;Find in directory&quot; functionality... You can trial it for free but the 1-user license is just US $35. Great little tool! What do you think about EditPlus? Do you recommend it? Why?